With the Queen’s presence in the front row, Richard Quinn presented a magpie collection of patchwork pieces for his A/W 2018 collection. Scarves stitched together with patterns clashing in over-scale florals, polkadots, and ornate scrollwork created a print infused statement. 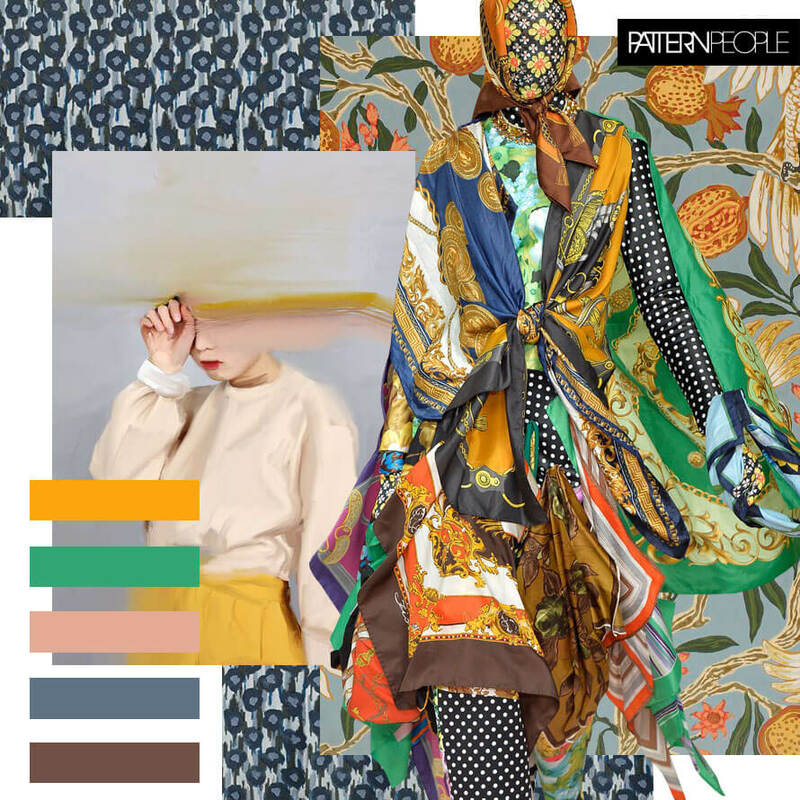 Shades of marigold, peach, blue, and green dominated the palette, making us think more of spring rather than winter.